Two configurable relays that can control lights, gate/door access etc. Two options available: stainless panel with activate button or Clipsal wall plate. Jacques offers the following third party products for use within our system. These products compliment the features and functions of our system and have been approved by our engineering department. Resistant against high temperature differences, humidity, seawater, acids, alkalis, greases, etc. Find a range of Jacques technical documentation in our Support Portal. Documents such as configuration manuals, product manuals and user guides can be found in the Portal. Simply create an account for access to these documents as well as our FAQ and knowledge base. All Jacques intercom & public address systems require a system controller. 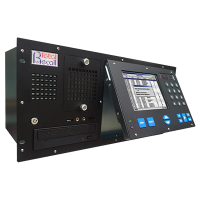 Jacques offers controllers in three capacities, each allowing for a predetermined number of endpoints and industry required functionality.